The attempt to hunt down and kill the orks' leader has ended in failure and catastrophe. The Imperium is reeling from the loss of so many beloved heroes, and the military forces of mankind have been reduced to tatters. Koorland now knows that brute force is not the answer - but how else can the orks be fought? In a radical move, he creates small, mixed Chapter units of Adeptus Astartes, compact teams that will hit the enemy hard and fast, and with deadly accuracy. 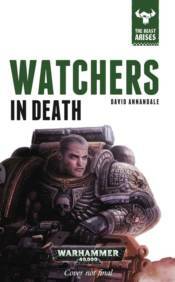 With armour painted the black of mourning, the new strike teams become known as the Death Watch. But will this be enough to tip the balance, or does the Imperium need to discover new means to defeat the orks?